No, wearing white boots in the winter is not violating fashion rules. Products L-R: Dr. Martens, Dolls Kill, & Nasty Gal. Remember that one fashion rule where it was said that you couldn’t wear white after Labor Day? Well get this, that rule doesn’t exist anymore! Yes, you read that correctly. For a few seasons now, tons of fashionista have been wearing white items in the winter, from celebs to famous bloggers to Instagram It girls. One of the latest trends to specifically ignore that rule is this season’s white boots trend! 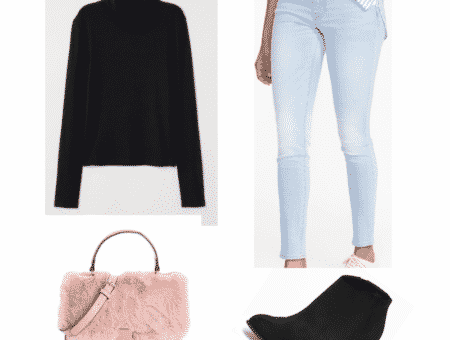 I love white boots so much, so today I wanted to show you how you can rock the look. Below I’ll show you how to wear white boots when going to class and when going to a concert in the winter. Products: Leather jacket – Boohoo, T-shirt – Ivy Park, Earrings – Forever 21, Infinity scarf – Luxury Divas, Boots – Macy’s, Jeans – New Look, Purse – Forever 21. This outfit example is simple yet tasteful. I tried to stay in the white and black color palette except for the blue leather jacket (to add a little pop). The purse and t-shirt are white, plus both pieces have black detailing similar to the boots, which makes them work together. When wearing a leather jacket you can get a little cold so adding an infinity scarf (or just a regular scarf) will help keep you warm. No need to overdo it on the accessories: A simple pair of silver disc earrings will do wonders. 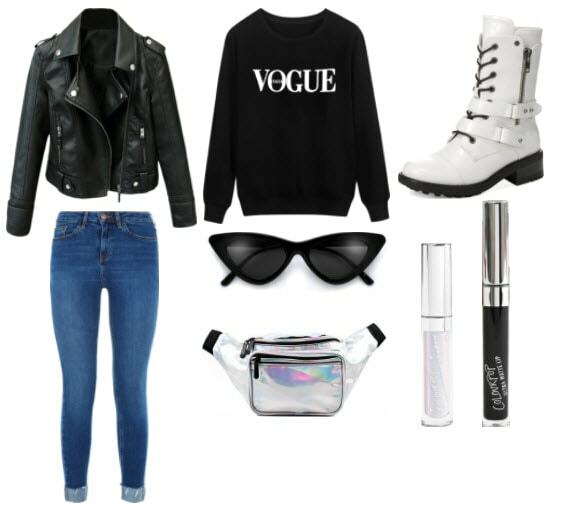 Products: Leather jacket – Amazon, Fanny pack – Sojourner Bags, Vogue sweater – Nads Shoes, Jeans – New Look, White boots – Macy’s, Sunglasses – Sunglasses Spot, Metallic eyeshadow – Colourpop, Liquid lipstick – Colourpop. 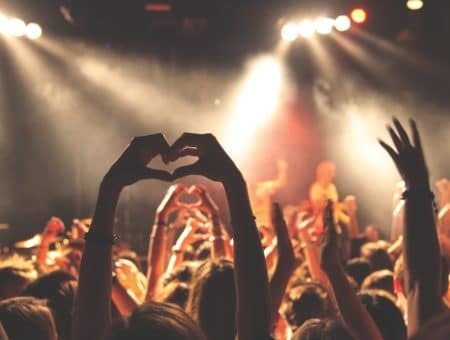 If you’re like me, you’re always attending the local concerts near you. When attending concerts, I love to be comfortable yet chic. This set has the perfect combo of comfort and style. What stands out most to me is the holographic fanny pack. It adds the ultimate amount of zest and edge to the outfit. Sunglasses can be added to your outfit depending on the venue the concert is held at — if it’s an outdoor concert, you need a pair. The cat eye sunglasses trend is one to watch this year. Stick to smaller frames for the most on-trend look. The black liquid lipstick fits if you’re looking for an edgy look. If you want to tone it down a bit, you can try a deep colored lippie. Do you plan on wearing white boots this season? Do you plan on styling white boots this winter? Do you plan on buying a pair if you don’t own them already? How are you going to style them for class and a night out? We love to hear your ideas so comment and let us know!